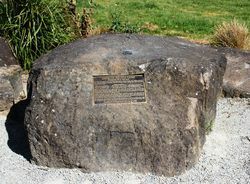 A monument and storyboard commemorate the centenary of the Lilydale Militia Camp. The camp of instruction was held before the start of World War One. 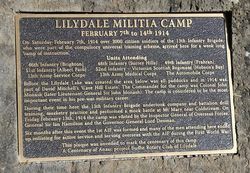 The Lilydale Militia camp was a week long camp of “instruction”, held six months before the start of World War One, for 3000 citizen soldiers from the 13th infantry brigade and was commanded by John Monash (later General Sir John Monash). On 12 February 1914 the camp was inspected by the Inspector General of Overseas Forces, General Sir Ian Hamilton, who was later to command the Gallipoli campaign. 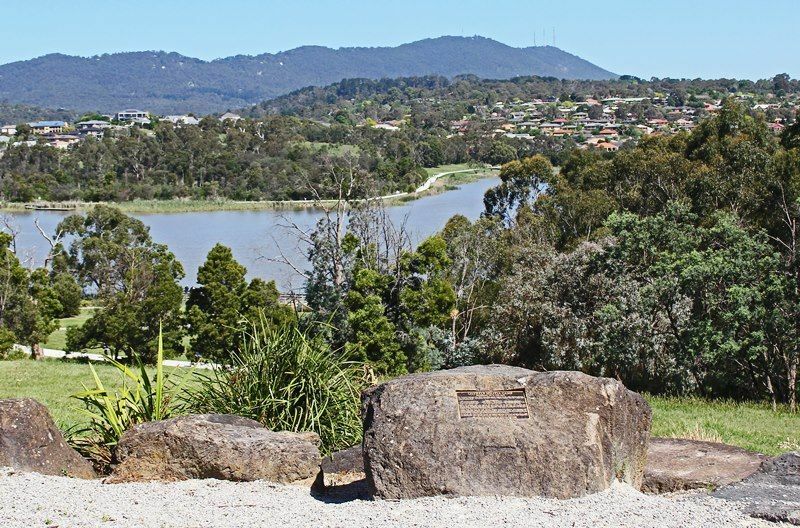 The 3000 soldiers came together on land, where Lillydale Lake is now, for training including company and battalion drills, musketry practice and a mock battle at Mount Mary near Coldstream. Many of those who attended the training camp as officers and soldiers later went on to be well known and successful in their military careers. Major General Sir John Monash was one of those men, and often spoke of his time at Lilydale. It is believed to be the most important event in his pre-war military career. On Saturday February 7th, 1914 over 300 citizen soldiers of the 13th Infantry Brigade, who were part of the compulsory universal training scheme, arrived here for a week long 'camp of instruction'. 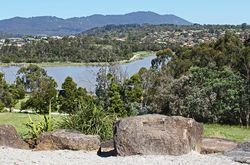 Before the Lilydale Lake was created the area below was all paddocks and in 1914 was part of David Mitchell`s `Cave Hill Estate``. The Commander for the camp was Colonel John Monash (later Lieutenant-General Sir John Monash). The camp is considered to be the most important event in his pre-war military career. During their time here the 13th Infantry Brogade undertook company and battalion drill training, musketry practice and performed a mock battle at Mt Mary near Coldstream. On Friday February 13th, 1914 the camp was visited by the Inspector General of Overseas Forces, General Sir Ian Hamilton and the Governor-General Lord Denman. Six months after this event the 1st AIF was formed and many of the men attending here ended up enlisting for active service and serving overseas with the AIF during the First World War. This plaque was unveiled to mark the centenary of this camp. 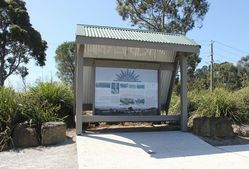 A Centenary of ANZAC project by the Rotary Club of Lilydale.